House Speaker John Boehner sort of apologized Tuesday for last week mocking his GOP colleagues’ unwillingness to vote on hard issues like immigration. Boehner said there’s no secret conspiracy to pass a bill, but if Obama works with Congress on other issues, there is the potential for some sort of immigration accord. Meanwhile, Sen. Chuck Schumer of New York told the New York Daily News there would be an immigration bill on President Obama’s desk by June or July. Schumer said it likely would not be the bipartisan comprehensive plan passed in 2013 by the Senate – but predicting any kind of a reform bill was bold. It is hard to see how anybody can craft a bill in the next few months that would satisfy Democrats – who insist there should be a pathway to citizenship for otherwise law-abiding undocumented immigrants – as well as Republicans, who insist the opposite. The botched execution of an Oklahoma inmate who died of a heart attack after his vein apparently “exploded,” has resurrected national conversation about the death penalty in the United States. 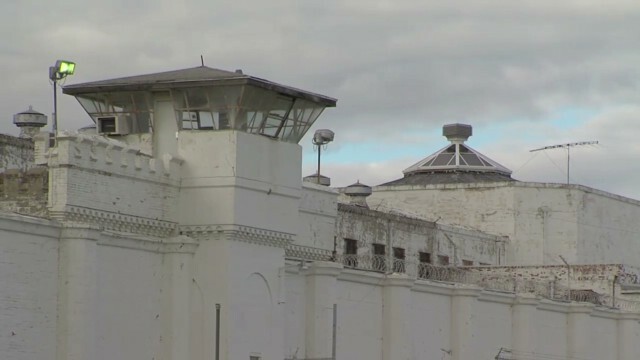 The total number of executions and death sentences continues to drop each year nationwide, but capital punishment remains legal in 32 U.S. states and approximately 3,095 inmates in 35 states are awaiting execution. Of these 32 states, lethal injection is the most commonly used practice of carrying out the death penalty, but other procedures include electrocution, gas chamber, hanging and firing squad. *Utah no longer offers the firing squad as an option, but would allow it only for inmates who chose this method prior to its elimination . *Oklahoma offers firing squad only if lethal injection and electrocution are found unconstitutional. On "New Day" Wednesday, legal expert Jeffrey Toobin discussed the Oklahoma case with Chris Cuomo.